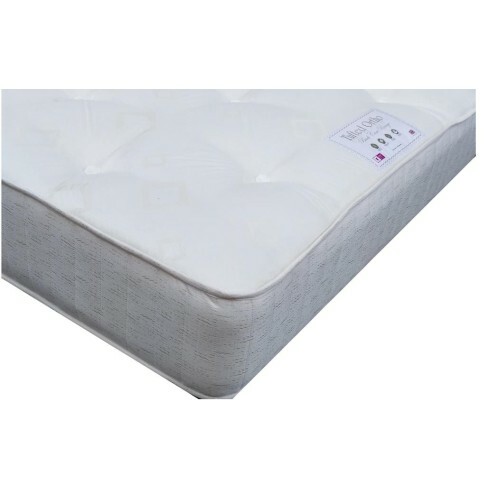 This mattress has an open coil orthopaedic spring unit giving a medium support combined with layers of fillings for comfort. Hand tufted to give a firmer feel. Fully turnable for regular rotation. Covered in a damask fabric however pattern/colour may vary.